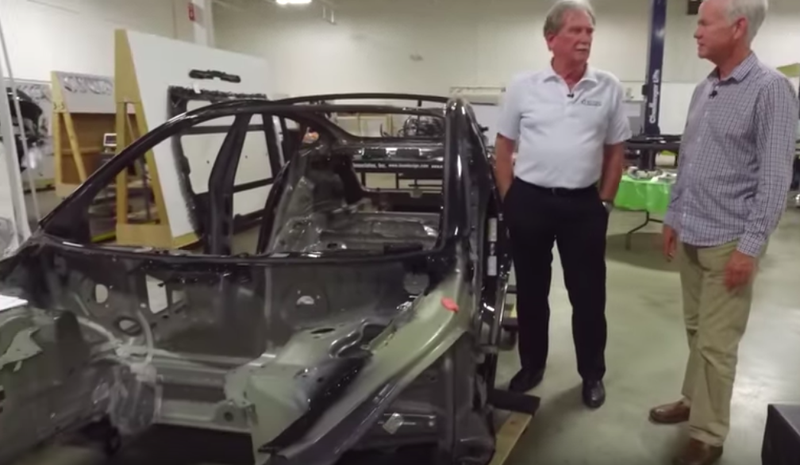 Manufacturing expert Sandy Munro, CEO of a Michigan-based engineering firm that dismantles and studies cars, has changed his tune when it comes to the Tesla Model 3. He had criticized the car’s build quality, comparing it to that of a “Kia in the ’90s.” But now, after Munro & Associates completed a full teardown and analysis, Sandy is “eating crow.” The Model 3, he says, is the most profitable EV out there. In his recent interview with Autoline’s John McElroy, Sandy Munro doesn’t backpedal on his previous statements about fit and finish. “I thought that this was one of the worst fit and finishes I’ve seen in decades,” he says. But compared to that initial negative review of the Model 3 (which we shared in February), Sandy is now much more positive about the car after his team finished its analysis and figured out that the Model 3 has an impressive profit margin of about 30 percent. I called up Munro & Associates to understand which vehicle this 30 percent figure applies to, and representatives told me that Munro & Associates studied a rear-wheel drive, long-range model with the Premium Upgrade package and Enhanced Autopilot—meaning the vehicle cost approximately $55,000. The 30 percent gross profit margin was obtained by determining the manufacturing costs, subtracting them from the vehicle’s retail price, and dividing that difference by the retail price. “We took the vehicle apart. We analyzed every part of the car... we developed a cost for the parts of the car,” Munro representative Sue Okray told me over the phone. You can read more about the fascinating way Munro conducts “costing” in this article, but the upshot is that manufacturing experts were able to determine how certain parts were made or from which supplier they are sourced, and then figure out how much Tesla paid to manufacture and assemble the car. This includes things like raw material costs, machining time, labor hours and supplier markup. But Munro’s manufacturing costs for the Model 3 don’t include everything. Design time for engineers to develop the parts, sales and dealer distribution, marketing or any of Tesla’s “selling, general and administrative expenses” aren’t included. Munro’s figure essentially just considers the material and labor expenses needed to manufacture the vehicle. I asked Munro & Associates how profitable a cheaper Model 3 might be, but spokespeople told me that the 30 percent margin can’t necessarily be used to extrapolate what the margins are on cheaper Tesla Model 3s like the mystical $35,000 one, mostly because the components may be different. “The problem with trying to figure out what the lower trim model costs, is: What does it have?” James Hadley from Munro told me. He said it can be fairly straightforward to crunch numbers on the difference in cost based on kilowatt-hours of the lower-capacity battery, but devising cost for the car without the Premium Trim package would be hard. “What kind of functionality are they taking out? What kind of materials are they taking out for the lower trim model?” he continued. It’s for this reason that Munro & Associates says it’s hesitant to give any figures about the profitability of a cheaper Tesla Model 3 trim. Getting back to the video, you can hear Sandy Munro talk about how nicely Tesla engineers integrated the vehicle’s electronic systems. “They did a really good systems integration job,” he says after praising the car’s “electronics bay” under the rear bench, as well as the the electronics’ chip densities and layouts, especially the way multiple circuit boards are all placed in one clean package. He also compares the cost of the Tesla Model 3’s rearview mirror against that of the BMW i3 and the Chevrolet Bolt. The mirror, Munro says, likely cost Tesla about $29.50, whereas BMW’s cost was $93 and Chevy’s was likely around $165. “That’s the magic associated with using components that are already on the car, and you make them work double or triple duty,” Sandy Munro says. In the end, Munro admits that his initial impression of the car has changed. “Like I say, a lot of crow being eaten around here,” he says. Note: This post’s headline was changed after publication to more clearly reflect the main points of the video.